The one-page outline of President Trump's tax plan is sparse on details, but it does show he favors tax cuts that help business owners, greatly benefiting the wealthiest among them. Two tax cuts in particular could be especially sweet for Trump himself and his children. The first is his call to slash the business tax rate on pass-through entities to 15% from 39.6%. Pass-throughs are businesses set up as sole proprietorships, S corporations and partnerships (e.g., LLCs, LLPs, etc.). They include everything from the corner grocery store and other Main Street businesses, to big accounting firms, medical practices and private investment partnerships like hedge funds. They also happen to include most every entity in the Trump family's vast financial portfolio -- from golf clubs to hotels to real estate developments to Trump-branded products and ventures. If Trump were ever to release his own federal returns from the past few years, we might be able to say exactly how his tax plan would benefit -- or hurt -- him directly. 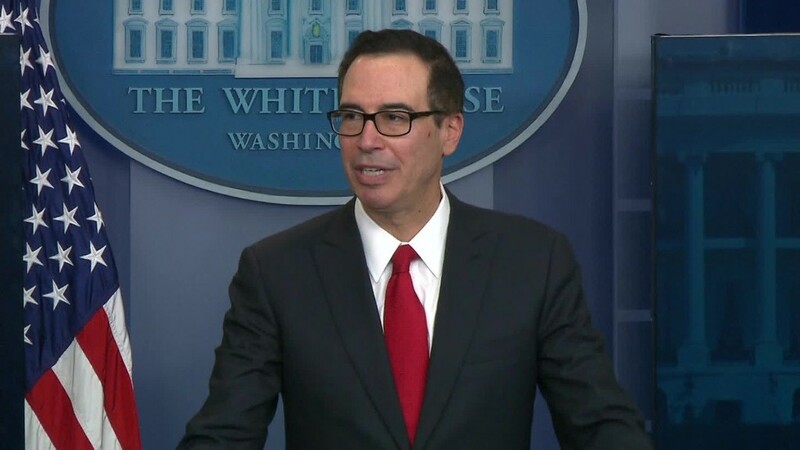 But Treasury Secretary Steven Mnuchin stated categorically on Wednesday that the president has "no intention" of releasing them. He later went on to tell ABC's "Good Morning America" that Trump's tax plan isn't about Trump's returns, it's about the American public's returns. Even without the specifics from Trump's returns, it's reasonable to assume that however much tax he pays at the top rate on his business income would fall by nearly two-thirds. For every $1 million in taxable income, he'd pay $150,000 under his own plan instead of $396,000 today. Based on information from the top two pages of his 2005 returns, Steven Rosenthal, senior fellow at the Tax Policy Center, estimates that Trump might have saved $27 million if his business income at the time had been taxed at 15%. Of course any savings Trump would enjoy under his own proposals could be undercut, depending on what tax breaks the administration would support curtailing. We know the Trump plan would kill itemized deductions except for mortgage interest and charitable contributions. But since deductible mortgage interest is limited and Trump's charitable giving was shown to be underwhelming by Washington Post reporter and CNN contributor David Fahrenthold, those may not be big breaks for him. What might be are his state and local taxes, which Rosenthal suspects made up a big chunk of Trump's $17 million of itemized deductions in 2005. That's because Trump was a resident of New York City, one of the highest taxed places in the country. Beyond that, the Trump plan doesn't detail what other breaks he'd support curbing. It simply says Trump wants to "eliminate targeted tax breaks that mainly benefit the wealthy" and "eliminate tax breaks for special interests." Again, without Trump's tax returns, it's impossible to say which breaks in those broad categories he relies on to reduce his taxable business income. Will he, for instance, propose eliminating tax breaks that benefit real estate investors and developers? Or will he support getting rid of breaks that might benefit him in his marketing and licensing deals? The second tax break in the president's plan that would be especially generous for the Trump family is a repeal of the federal estate tax. Today, only the portion of an estate over $5.49 million is subject to the estate tax, at a top rate of 40%. Given that Trump's net worth is likely in the billions, estate tax repeal means his family stands to inherit a lot tax free unless he gives it all to charity before he dies.